Well, this month stinks already. Does it ever get easier? I'm waiting for that to happen. This Thursday I have a brief--I mean, BRIEF--talk to give for the Friends and Volunteers of our Library's annual Author’s Luncheon featuring Carl Bernstein. Carl Bernstein is an American investigative journalist and author. Along with Bob Woodward at The Washington Post, he did the majority of the most important news reporting on the Watergate scandal. These scandals led to numerous government investigations and the eventual resignation of President Richard Nixon. For his role in breaking the scandal, Bernstein received many awards, and his work helped earn the Post a Pulitzer Prize for Public Service in 1973. In other more pleasant news, there is a really nice fall author event online starting next week. 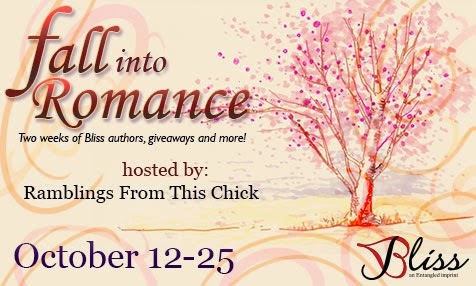 I will be blogging there at Ramblings From This Chick on October 14th and will be giving away the PRINT version of Fiancé by Fate. Just practice what you're going to say and deliver it with enthusiasm. Knowing what you're going to say and being excited about it make all the difference in the world. You'll do great, I'm sure :) Just no brunch champagne until the speech is over. Susan is right! Better before him than after him! I once did a live radio show interview by phone with a station out of Denver, Colorado. I had to get up at 5am for it -- and it was airing at 3am in Denver. (Yeah, lots of listeners, I'm sure.) But the thing is -- my interview was being followed by an interview with actor Robbie Benson ... at 4am. Best wishes with the speaking engagements, Jennifer! LOL, I want to steal your opening line for a chapter hook! I generally enjoy public speaking, but yeah, I see what you mean about headlining for Bernstein! I hope it went well! !